Metal Stamping, Fabrication, Forming & Progressive Dies - ETBO Tool and Die Inc. Innovative stamping solutions that maximize your budget. ETBO's strength as a stamper lies in our ability to deliver a range of stampings - from the simple to the complex. 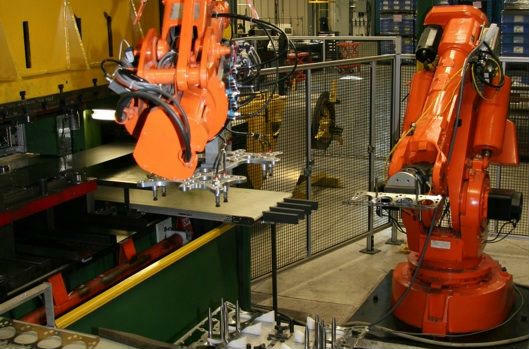 Our facility maintains a variety of resources and capabilities that provide extreme flexibility and efficiency in meeting our client's needs. 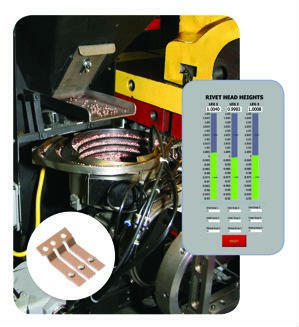 ability to monitor stamping processes by employing over 40 sensors. comprehensive monitoring of position, bend angle, material/emboss thickness, force and colour. itemized recording of all sensor data inputs, resulting in advanced SPC capabilities.